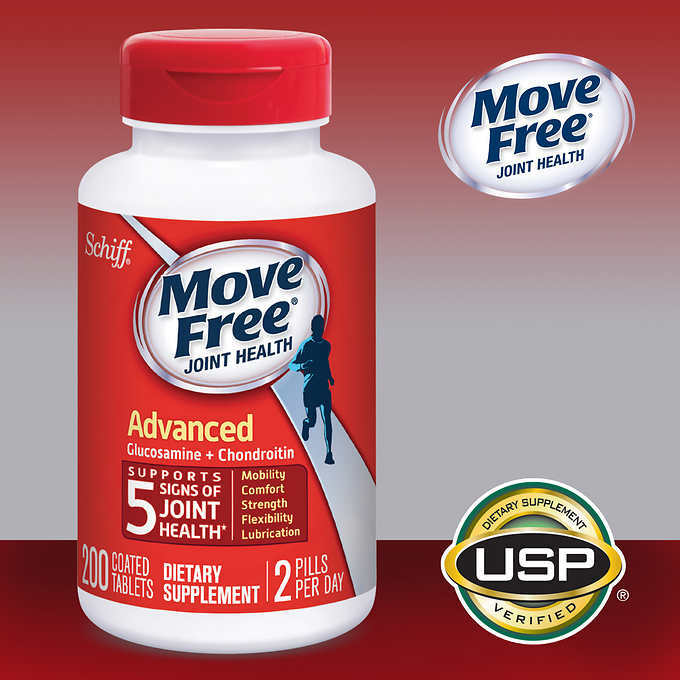 Glucosamine and Chondroitin work together in Move Free® Triple Strength to protect and help lubricate your joints. For best results, take two (2) tablets all at once with a meal, OR one (1) tablet twice daily with meals. No Added Sugar (Sucrose, Fructose, Lactose), No Salt (Sodium Chloride), No Yeast, No Wheat, No Gluten or Milk. No Preservatives or Artificial Flavors. WARNING: Chondroitin Sulfate is derived from bovine and porcine sources. If pregnant, lactating or on prescribed medication, consult your physician before using. KEEP OUT OF REACH OF CHILDREN. STORE IN A COOL, DRY PLACE WITH LID TIGHTLY CLOSED.